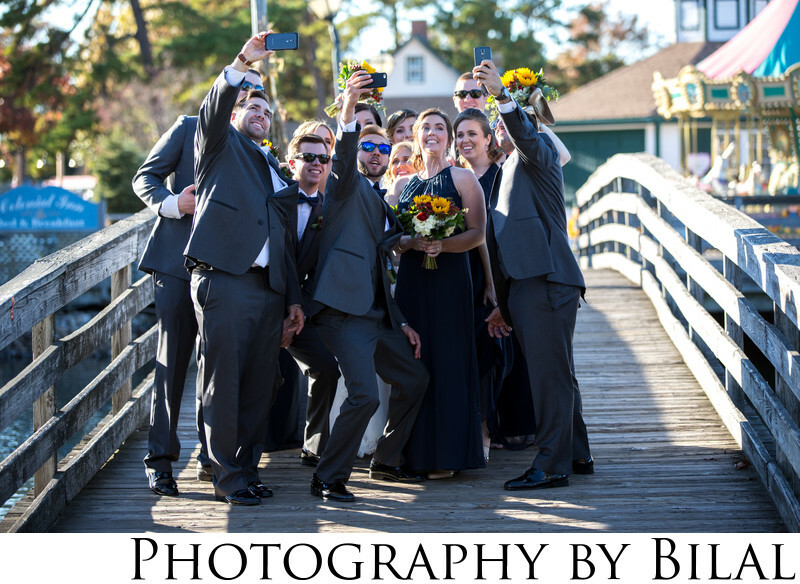 After all the standard bridal party photos are done, that's when it's time to unwind and capture some candids of the bridal party. That's what happened here, as these guys were taking selfies on the bridge, i quickly captured a few candids. I like to get a good mix of photos, and that includes fun bridal party photos. This wedding was at the Smithville Inn in Absecon, NJ.